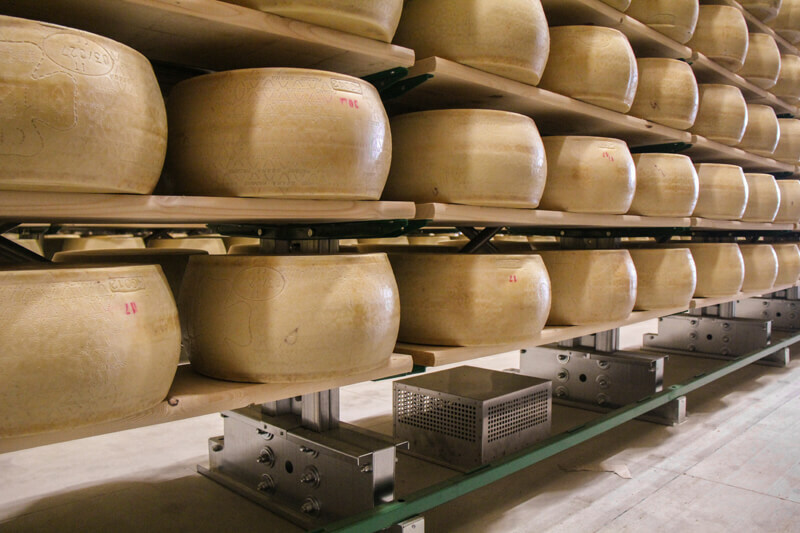 Created specifically to meet the needs of manufacturers of Parmigiano Reggiano and Grana Padano. 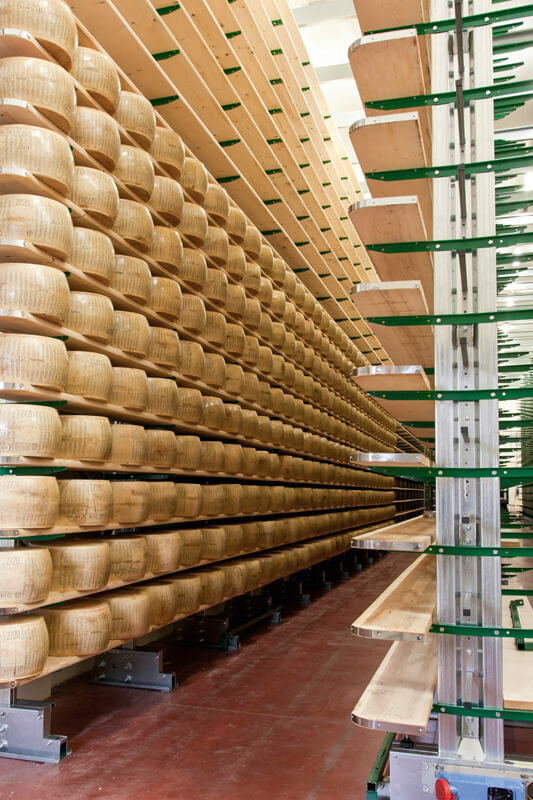 The structure is completely bolted and with no welding and is characterized by controlled elasticity to absorb as safely as possible any seismic stress, thus avoiding possible slipping (sliding) of the wheels of parmesan and grana cheese. 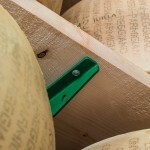 The origin of this innovative anti-seismic product, the first created specifically for the dairy industry, is in fact rooted in the twenty-year research path where ROSSS invested great commitment: from the tests on the anti-seismic table in Athens, to the collaboration with prestigious Italian and European universities, to the patents obtained by ROSSS regarding earthquake-resistance. 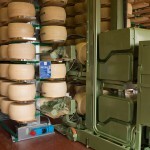 comply with the new anti-seismic directives. Discover all the available applications. Total absence of break triggers. 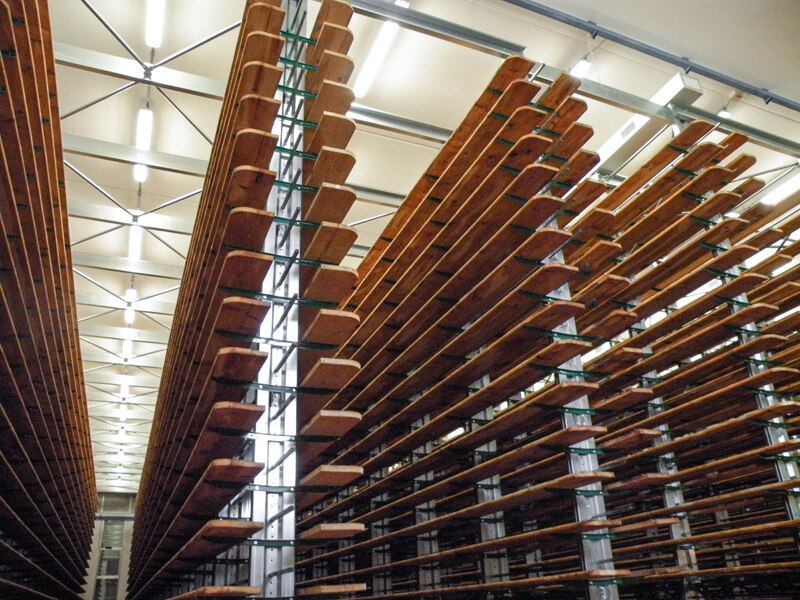 When ROSSS handles cold-formed steel it does it respecting its specific ductility. 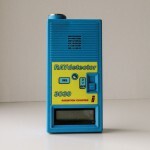 Systems that have instead bosses or joints often have areas which have been stressed and stretched abnormally, even with plasticized items, ie permanently deformed, that do not comply fully with norm NTC 2008. 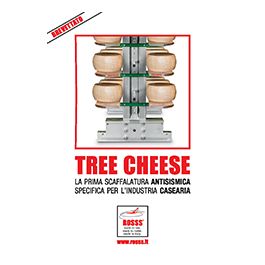 Another problem solved is that of welding: TREE CHEESE ROSSS has no welding, nor in the workshop nor on site. This means that any problem relating to the strength, endurance and certification of the welds themselves is deleted. Retaining tube against the fall of stored products. 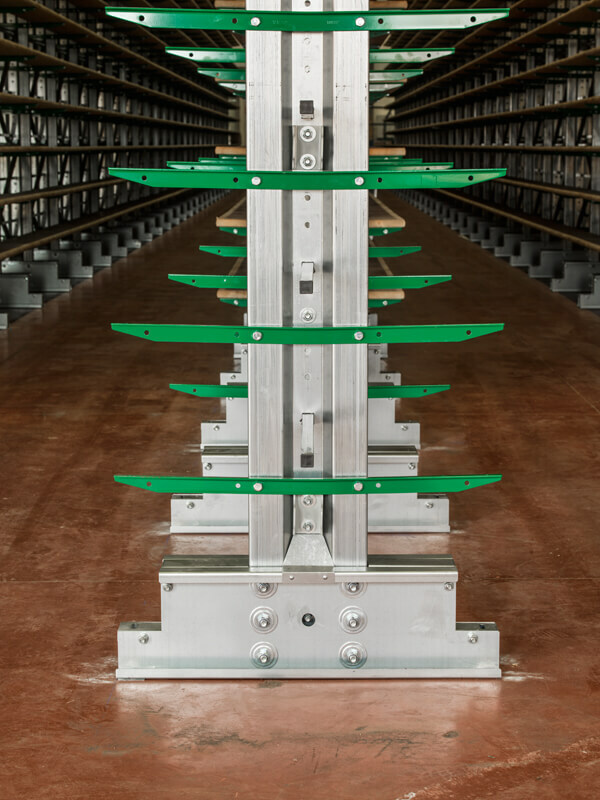 The structure is designed specifically in a way that the to give theshelves that hold the product are slightly inclined backwards in order to avoid the fall of the product in case of seismic events. 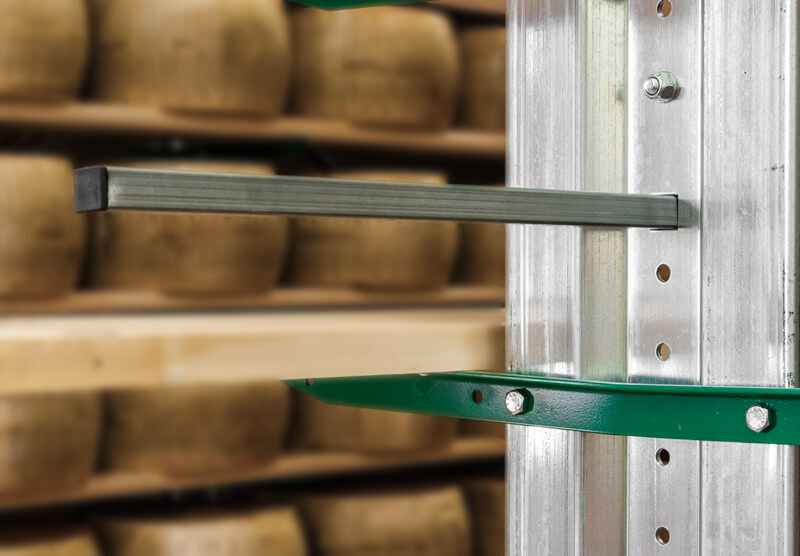 The special battiforma galvanized tube helps to prevent the fall of the cheese wheels in case of earthquake or malfunctioning of the machines. Total absence of stiffening roof fans. 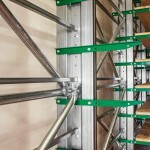 The ROSSS TREE CHEESE bracing system, not using duct stiffening, uniformly distributes sismic stress to the ground, without stressing the existing floor and above all it maximizes the space available for the cheese wheels, without waisting any space in case of replacement of existing warehouse/stock. 4 point fixing. All columns are fixed to the floor with 4 fastenings. 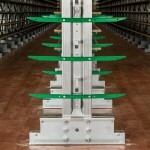 This system distributes forces to the ground as evenly as possible. 12mm diameter bolts. 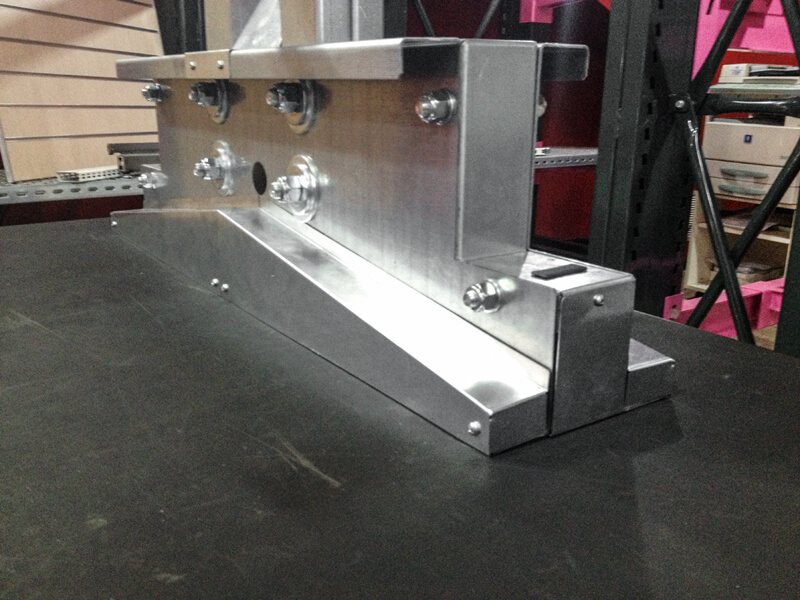 Bolted unions made with bolts of minimum 12mm diameter, respecting the NTC 2008 Elastic Stop (selflocking) norm. 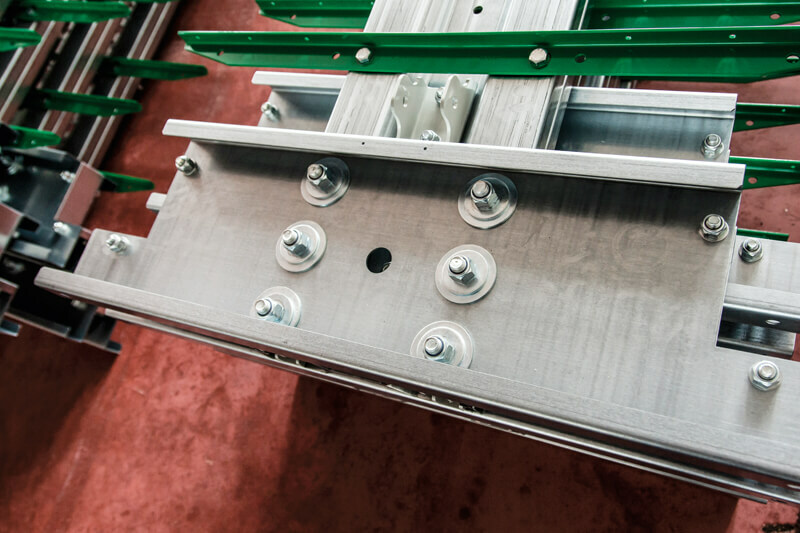 In particular, the bolting of the base is patented by ROSSS, as it uses special M16 bolts which ensure a hole / bolt, perfect basic connection. 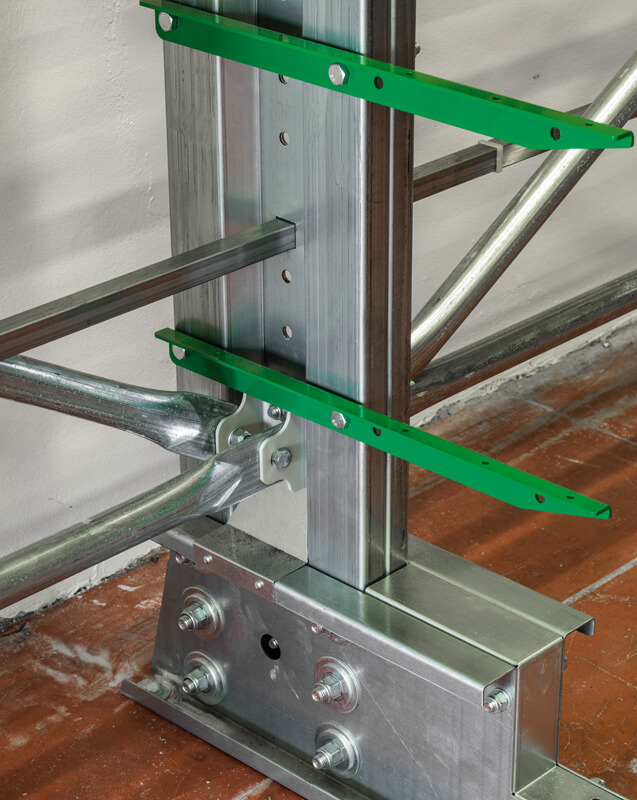 Possibility of integrating the lifter bench with a canopy. 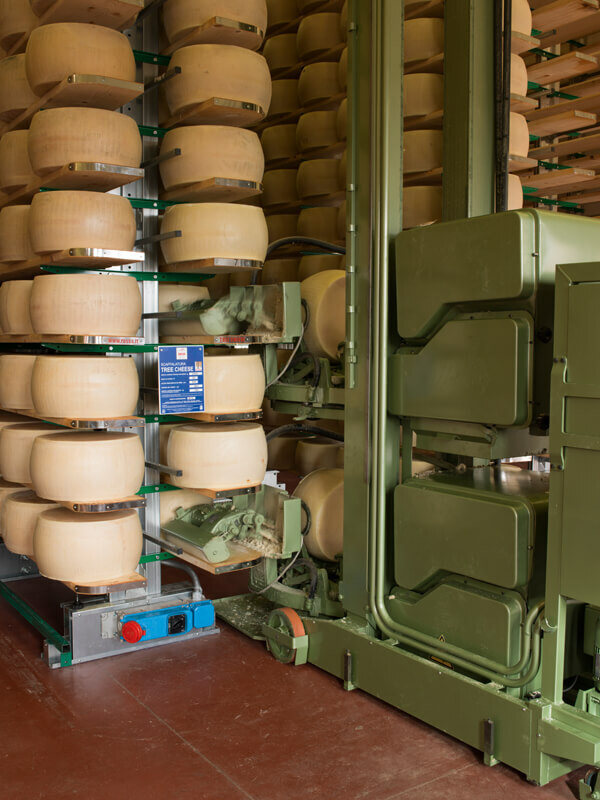 In order to comply with new security parameters indicated by the ASL (NHS), TREE CHEESE by ROSSS offers a system that allows you to work well within the corridors with lift benches equipped with protective canopy. 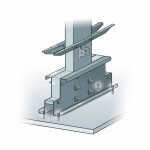 Structural steels. 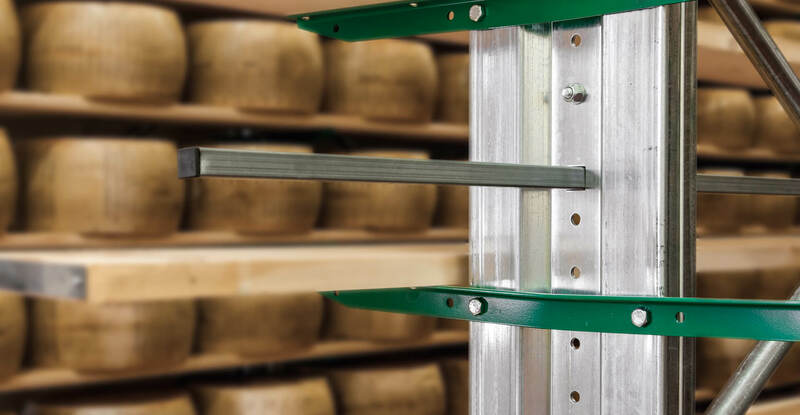 All structural components of the TREE CHEESE ROSSS rack are made of high strength steel S350GD. This is the maximum strength steel that the 2008 NTC rules allow to use. All steels used by ROSSS are free from radioactive contamination, in accordance with the provisions of the Legislative Decree N ° 230 17/03/95. Completely bolted structure. 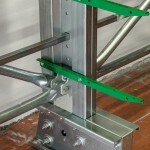 The fully bolted structure features an extraordinary resistance over time and unique flexibility. 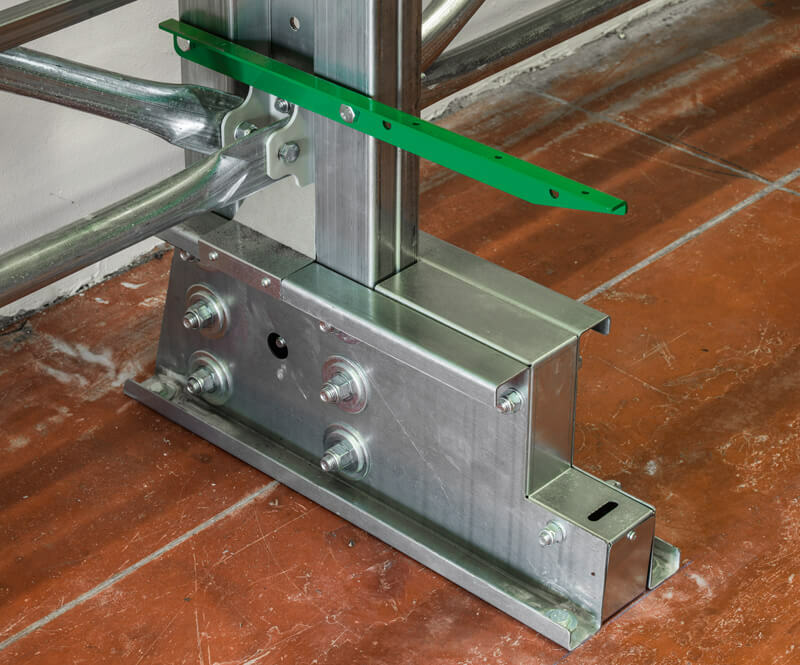 Unlike interlocking systems, bolting does not suffer from the weakening of the cyclical nature of the structural movements caused by seismic forces or normal forces transferred from the cleaning-riveting machines. The column’s closed profile monolithic structure. 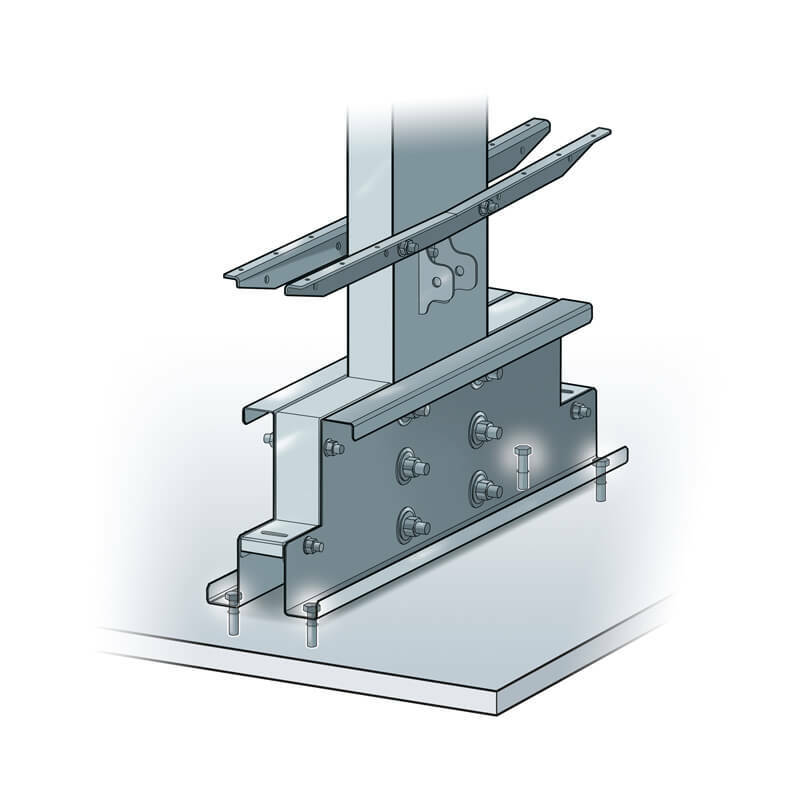 The columns are composed of two shaped and stiffened semi-columns, which are made integral by means of self-locking bolts so as to form a monolithic whole. Coating and galvanizing. 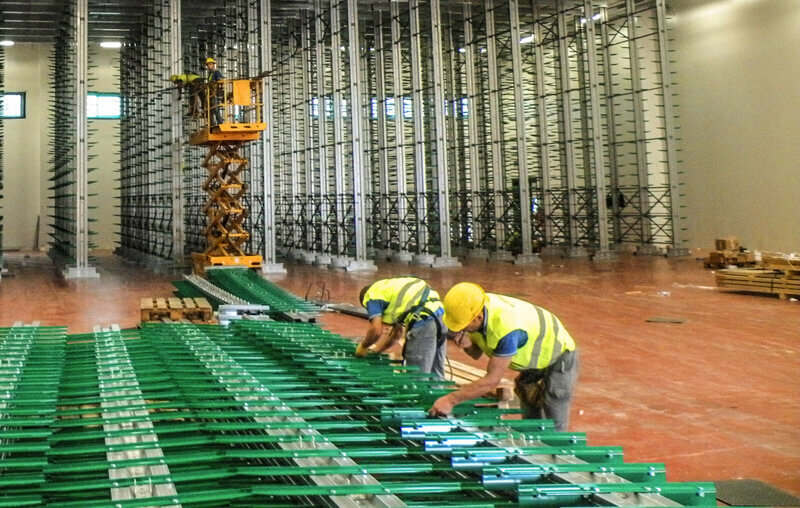 The whole structure is galvanized with sendzimir galvanizing, with a Z200 coating degree. Optionally you can have a galvanizing coating Zinc + Aluminium+Magnesium for longer life (about 6 times the hot dip galvanizing). 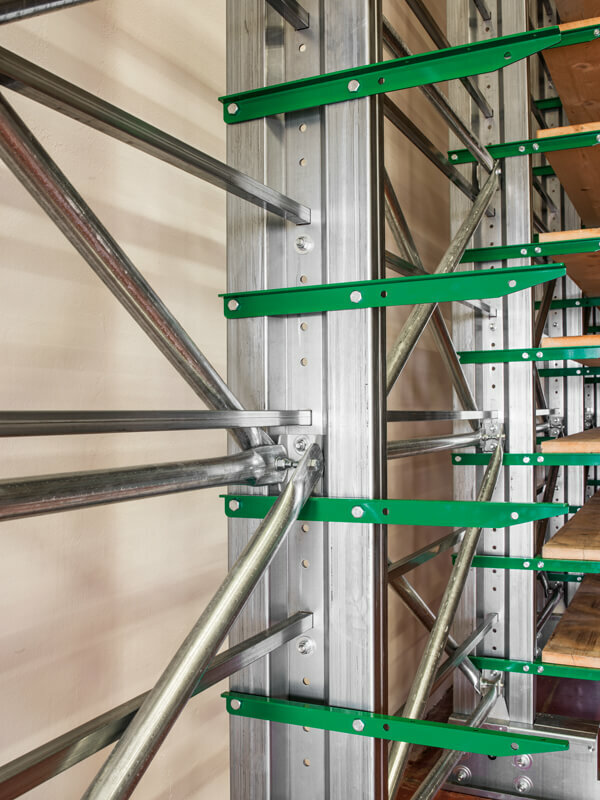 In particular, the shelves are galvanized and painted, for double protection against rust and for greater safety for the operator The shelves that hold the wooden boards, as well as being rounded, are galvanized and painted. 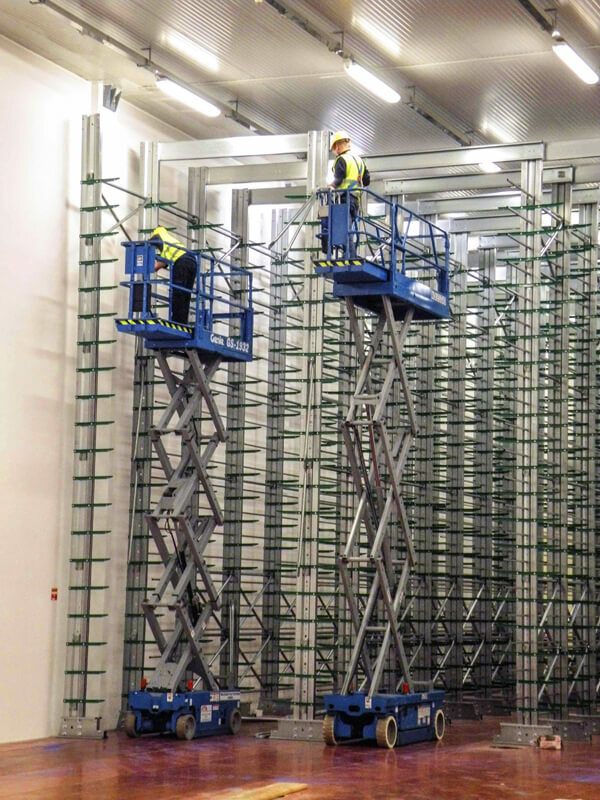 This is to ensure maximum safety to operators in the daily handling of stored products. Finishing of boards. Finishing of stainless steel plates. 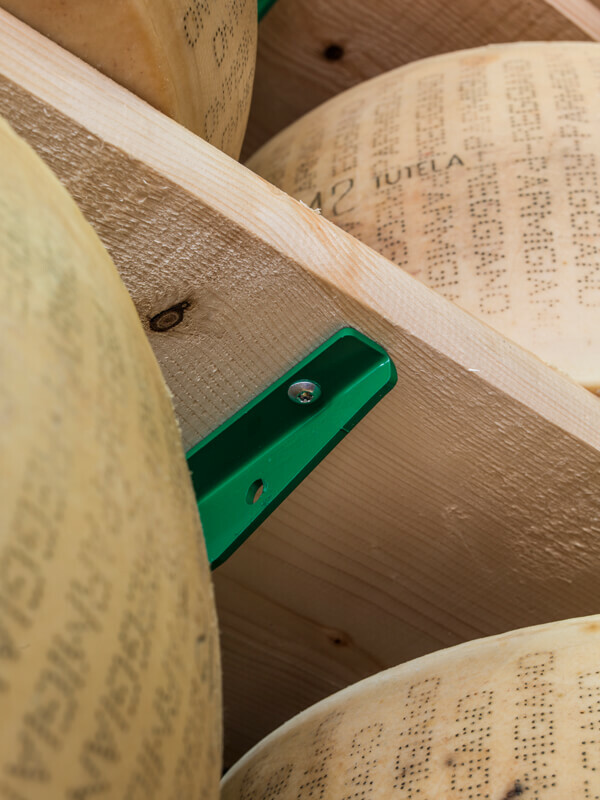 The extremity of wooden boards, in addition to being rounded, have a shock-proof finish made of rigidized stainless steel. Complete interchangeability of the new structure in respect to the old structure. 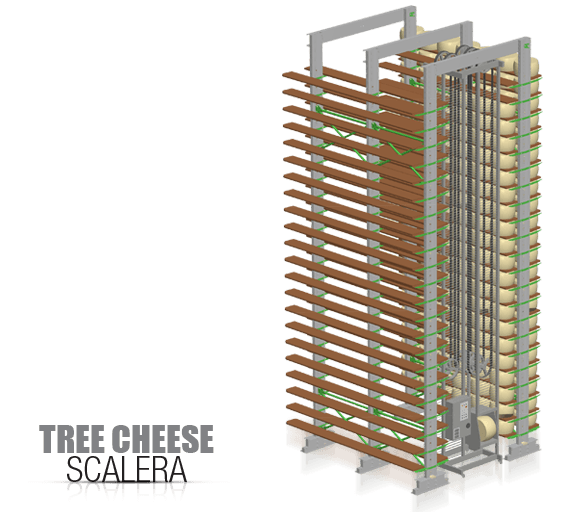 TREE CHEESE was created to be placed in existing warehouses without having to modify the existing building structures and machines already in use. Unchanged storage space. 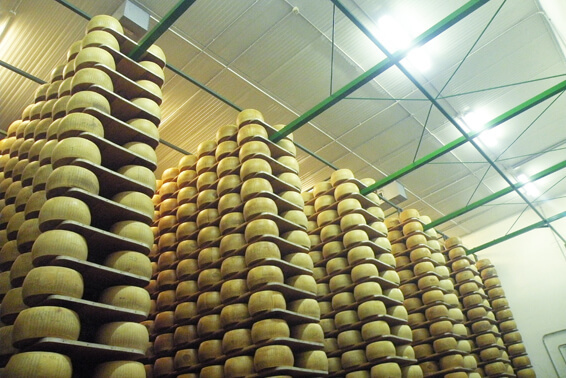 With CHEESE TREE ROSSS, in different seismic areas, the geometric dimensions of the structural system do not change and the receptive potential of the stock is kept unchanged. 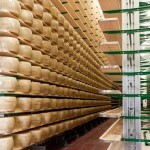 Thanks to the homogeneous distribution of bracing systems, no cheese wheel places are lost. 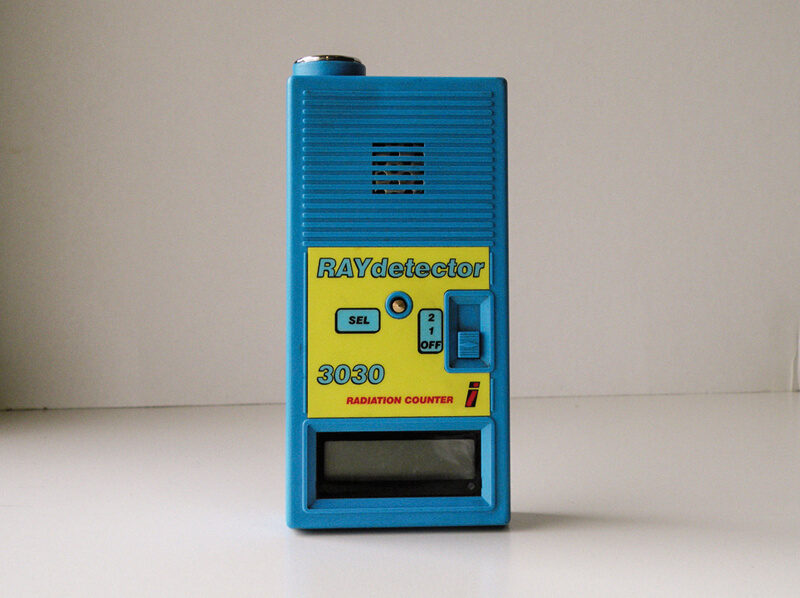 Total compatibility with machinery. 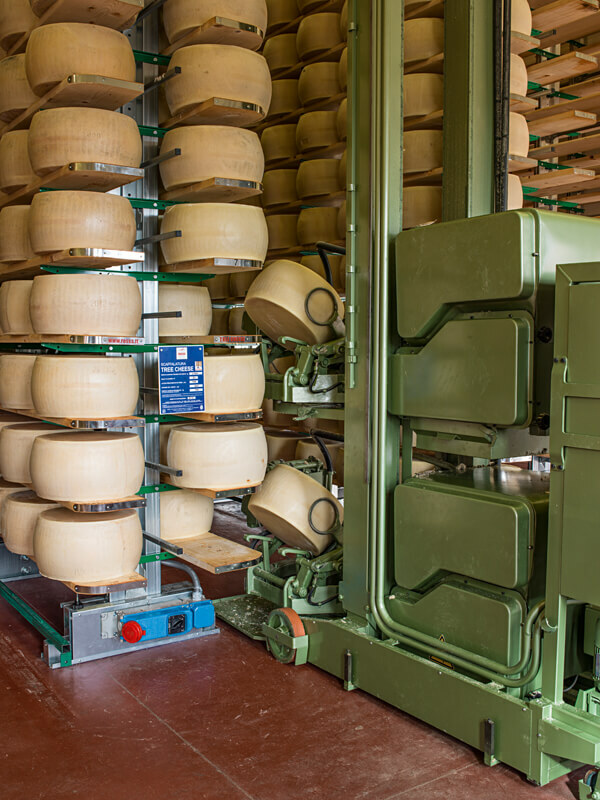 The TREE CHEESE ROSSS design has taken advantage of the precious collaboration with one of the most important companies producing specific machinery for the dairy industry. 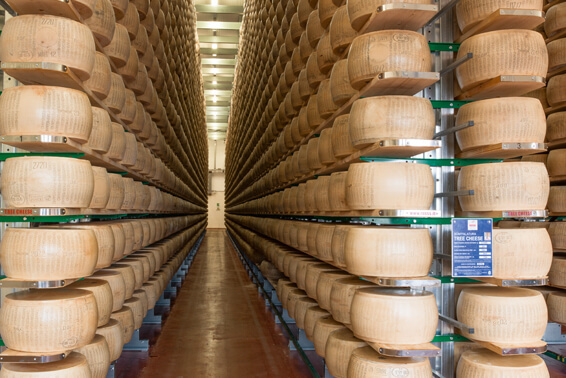 Therefore the system was designed right from the start in such way to avoid any minimal interference in the ripening process. 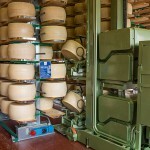 TREE CHEESE ROSSS is in fact geared for the guides of each type of operating machine and provides new measures for the insertion of new machinery. State of the art installation. 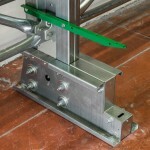 Installation in total compliance with the site safety rules. 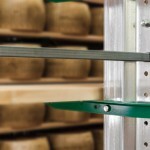 The TREE CHEESE mounting brackets are chosen, qualified and certified by ROSSS. Turnkey warehouse. 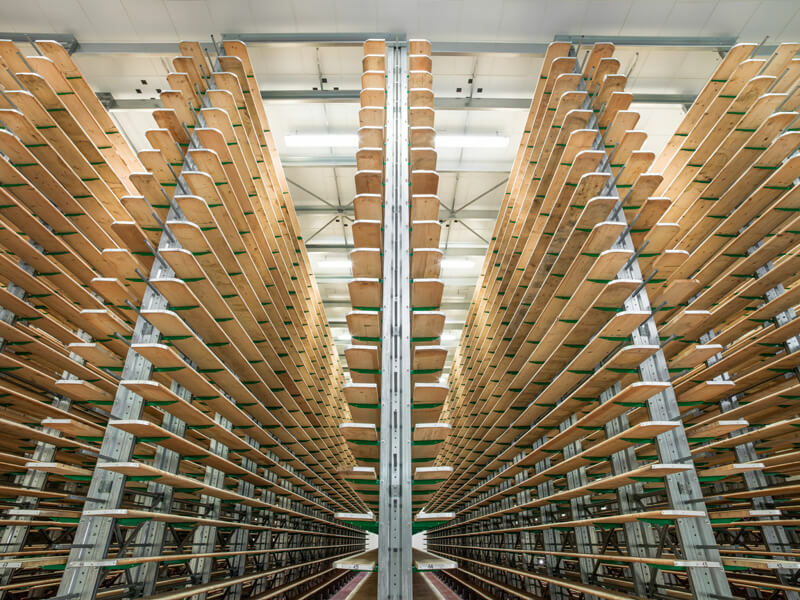 From design to installation, ROSSS guarantees the complete realization of your warehouse. Designed for easy cleaning. 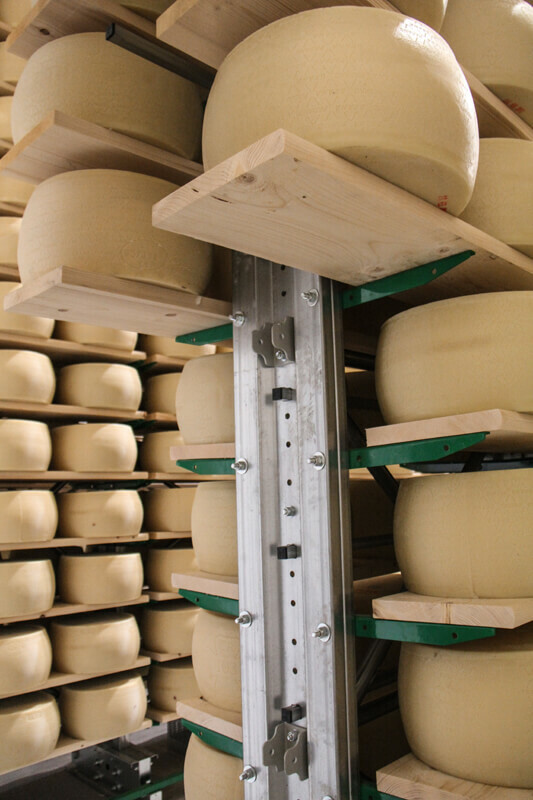 The TREE CHEESE ROSSS system provides a completely smooth column, no holes and indentations, ideal to avoid the collection of dirt typical of the brushing operations carried out on the cheese wheels. Special covers, placed on the base of the column, avoid the accumulation of dirt in small crevicies. 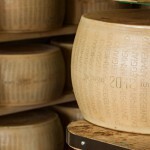 Discover the Tree Cheese World. The steel used for the realization of the bracing system is 3.1 certificate structural type, S250 GD. 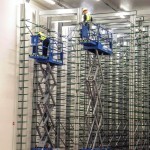 The product is obtained by means of molding of tubular bars of 42 mm diameter galvanized sendzimir. The steel used for the realization of the arms is 3.1 certificate structural type, S 350 GD. 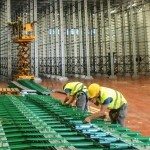 The product is made from galvanized coils, through moulding and profiling. The steel used for the realization of the bases is of 3.1 certificate structural type, S350 GD. 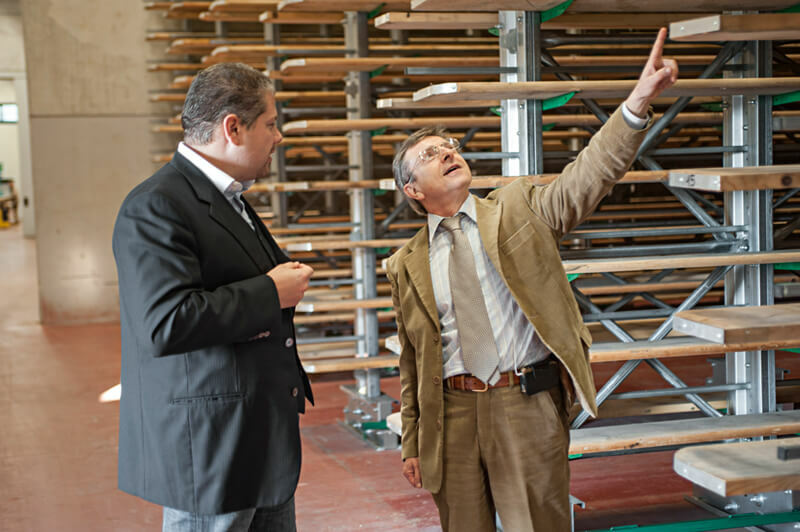 The product is made from galvanized coils, through moulding and profiling. 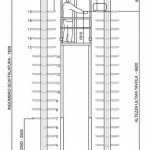 The steel used for the realization of the columns is of 3.1 certificate structural type, S350 GD. 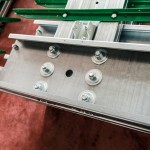 The product is made from galvanized coils, through moulding and profiling.